The impact of Osama bin Laden's death continues to ripple, straining the U.S.'s relationship with Pakistan. After a bump in the polls, Obama returns to domestic policy while the GOP presidential field adds a few more candidates. Joining Gwen: David Sanger, New York Times; Nancy Youssef, McClatchy Newspapers; John Dickerson, Slate/CBS News; Dan Balz, Washington Post. PRESIDENT BARACK OBAMA: Osama bin Laden will never again threaten the United States of America. MS. IFILL: But nearly two weeks later, the fallout from the death of public enemy number one continues, especially in Afghanistan and Pakistan. RAZA GILANI [Pakistani Prime Minister]: Pakistan is not the birthplace of al Qaeda. We did not invite Osama bin Laden to Pakistan or even to Afghanistan. MS. IFILL: As the U.S. braces for retaliation, we learn more about what bin Laden planned and what happens next in South Asian and the Middle East. On the domestic campaign trail, more candidates join the Republican fray. NEWT GINGRICH: I’m Newt Gingrich and I’m announcing my candidacy for president of the United States because I believe we can return America to hope and opportunity. MS. IFILL: And others edge toward the ring. How long can the Democratic president capitalize on the GOP’s uncertainty? Covering the week, Nancy Youssef of McClatchy Newspapers, David Sanger of the “New York Times,” Dan Balz of the “Washington Post,” and John Dickerson of “Slate” Magazine and CBS News. MS. IFILL: Good evening. Tonight, we talk fall out. Osama bin Laden’s death solved one mystery but has opened a Pandora’s Box of complications. At the top of that list: what happens with U.S. involvement in Pakistan and Afghanistan? The two allies present separate dilemmas, but each turns on how much money and how many troops will be devoted to the relationships with each nation. Beginning with Afghanistan, Nancy, where do things stand tonight? MS. YOUSSEF: Well, this week we heard a lot from Secretary of Defense Robert Gates and some of the commanders in Afghanistan. There’re hopes that bin Laden’s death would lead to reconciliation between the coalition in the Afghan government and some of the insurgent groups there. The problem is so far that hasn’t happened. And in fact, it seems that these groups are starting to think about what they should do if the United States leaves. And that certainly isn’t reconciliation, but essentially wait the clock, as they watch the debate happen here about whether the United State should stay engaged in Afghanistan. MS. IFILL: There’s a fair amount of distrust going on, and the same thing in Pakistan, right? MR. SANGER: It is, but made more complex by the fact that Pakistan has always been, long before the bin Laden killing, the hardest single regional problem in American foreign policy. And it’s just gotten a whole lot worse because you have a country that is caught between its Islamic roots and this strange alliance with the United States. It was forced to make a decision after 9/11 to be with the U.S. instead of with the Taliban. It never really made that full conversion. And now we’re really back where we were on 9/11, where there is this deep suspicion, especially in the Congress of the U.S., that the Pakistanis really are fighting this on our side on Mondays, Wednesdays, and Fridays, and on the Taliban side on Tuesdays and Thursdays. MS. IFILL: Today, 80 people were killed in a suicide bombing for which the Taliban took responsibility. Is there any connection really between what happened in Abbottabad and this? MR. SANGER: Well, the Taliban said that they were doing this in response to the bin Laden killing, but let’s remember, there were explosions like this, bombings like this against Pakistani troops, particularly in that area, long before anybody knew where bin Laden was or long before the United States knew where bin Laden was. And that’s part of what’s haunting this whole thing, which is the U.S. is sitting on this treasure trove of information from the bin Laden house and the Pakistanis don’t know what’s in it. So they don’t know what the U.S. knows about who was that “support network,” to use President Obama’s phrase, that was keeping bin Laden alive and well a half a mile from what was basically the West Point of Pakistan. MS. IFILL: And one more thing about Afghanistan, you guys can then jump in, but it seems also that part of the question for most Americans is whether this is a military enterprise that’s driving our continued involvement there or is it a political enterprise, a nation-building enterprise. MS. YOUSSEF: Well, here’s what the U.S. military will say. And they’ll say, we weren’t in Afghanistan to go after bin Laden. And that’s a shocking statement for a lot of people. We’re there to make sure that Afghanistan is stable so that it doesn’t become fertile ground for insurgent groups to hide and plot attacks against the United States. I’ve talked to troops who say we have a moral obligation to stay there. We’ve asked a lot of Afghans to work alongside us, to become troops trained by us, to become policemen trained by us. And therefore, we have to stay until the mission is complete. And so you’re starting to hear the United States military argue the case for staying in a war that many Americans see as done with the death of bin Laden. And the prospect of what the United States military is asking for is an expensive one. MR. DICKERSON: And Nancy, what does that mean then for this review that’s supposed to be underway? Does that mean the military is going to be on the other side of those in the administration who say, even before the bin Laden killing, we’ve got to be drawing down, moving out of Afghanistan, changing the shape of this commitment. MS. YOUSSEF: Yes, we started to see that schism this week. The Wall Street Journal reported that the team behind General Petraeus is proposing 5,000 troops withdrawal now, another 5,000 at the end of the year, 10 percent of the 100,000 that are there. It seems that that’s sort of the opening bid, if you will, that the United States military is putting forth in terms of what is an appropriate withdrawal. It’s interesting because when you ask the military what kind of withdrawal plan needs to start in July, they’ll say the 30,000 surge troops. Ask the White House and they say, it’s the total package, the total 100,000 troops. And so we’re already starting to see that divide about how quickly the pace of drawdown needs to happen. MR. BALZ: How much pressure do you think they are beginning to feel, either at the White House or at the Pentagon from growing evidence that there is war weariness that people in Congress, on the left and right, are both talking about pulling out? Why can’t we just draw down significantly more than 10,000? MS. IFILL: And if I can piggyback on that for you, David, when you – which is, there’s a lot of questions being raised in Congress about what our involvement is with Pakistan, and especially when it comes to money. MS. YOUSSEF: Well, the U.S. military answer is that we can’t leave that vacuum there. We’ve seen historically what happens when there’s a vacuum in Afghanistan. What if it becomes a proxy war between India and Pakistan? We’ve seen insurgent groups grow in that vacuum. And I think for a lot of soldiers, it’s hard to think of investing that much in terms of time and treasure and not leaving some semblance of a stable state. And so they would argue the war was never about bin Laden, which I think, again, is very shocking to people who always saw this as an effort to go capture bin laden. It’s about regional stability. And those two views of the war are sort of butting up against each other. MS. IFILL: Is Pakistan as dependant? MR. SANGER: Well, Pakistan is not as dependant on the U.S. funding, but Pakistan’s got a lot of leverage. First of all, almost all of the food, the medicine, the ammo that we send into Afghanistan goes through Pakistan. And the Pakistanis are paid for that. There is a sense that if the United States pulls completely out of Pakistan in economic terms, that the U.S. loses a window into Pakistan’s arsenal of 100 nuclear weapons. And one, while it’s not discussed very publicly, the weapons are a lot what this is about. It’s about the concern that al Qaeda could get at those weapons. It’s about the concern that Pakistan’s arsenal was growing so quickly at a time the U.S. is funding Pakistan so much. It’s kind of like – when people say it’s not about the money, it’s usually about the money. In Pakistan, when people say it’s not about the nuclear weapons, it’s almost always about the nuclear weapons. MS. YOUSSEF: David, given that, where is the discussion right now about U.S. aid going to Pakistan. I know there’s a lot of outrage that United States spent $20 billion in Pakistan in aid since fiscal year 2002, and yet it doesn’t seem that we’ve gotten our money back in terms of the investment and in return. MS. IFILL: Are serious people asking that? MR. SANGER: Some very serious people are asking that. And – you know, John Kerry has raised the point while he has not advocated cutting it. He’s raised the point that many of his colleagues have been questioning it. You’ve seen Senator Lugar, who’s very close to President Obama, ask that question. These are not just people driving by. MS. IFILL: You know, we have been obsessed – focused like a laser beam, as they used to say, on what’s been happening in South Asia and what’s been happening in Northern Africa and what’s been happening in the Middle East, especially in the last several months. And this whole Arab Spring idea – I know you’ve just gotten back from having spent a lot of time in Libya, Nancy – is it stalled? We saw today that George Mitchell, the U.S. Middle East envoy is leaving after two years. Does it feel like we’re stuck? MS. YOUSSEF: Well, I think in Egypt and Tunisia what we saw is that the protesters got rid of the dictator, but not the dictatorship. And the truth is it takes a long time to do the kinds of reforms that they need to have a real revolution if you will in Egypt and Tunisia. So far, it’s been a revolt and not a revolution. And my time in Egypt – it was astonishing how much things had changed and how difficult they were finding it to make real reforms. Most notably, they voted on a referendum on the constitution and instead of writing a new constitution, they made more amendments to the already overly amended constitution by Mubarak in the effort to keep his son in power. 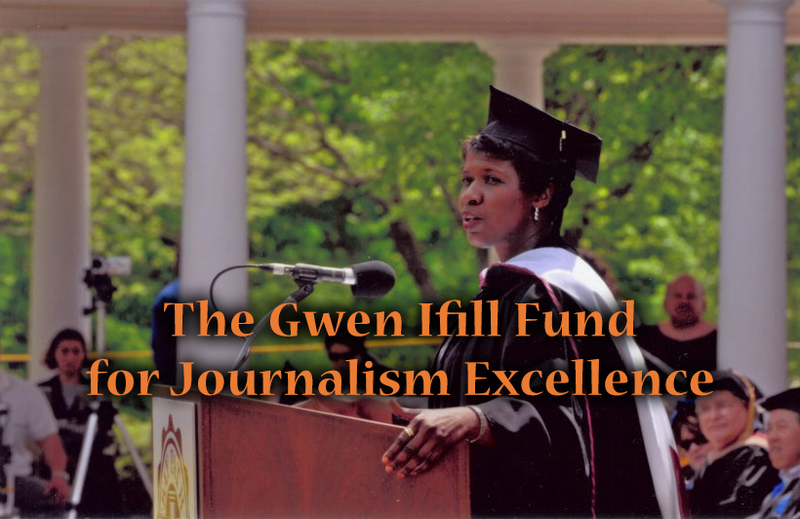 MS. IFILL: As of tonight, that’s still a big if. MR. SANGER: That is a big if and it’s not a strategically vital place to the United States, but when you look back at January and February, I think there was a huge amount of enthusiasm that a tremendous amount was about to change. And that’s not usually the way revolutions go. I ran into Henry Kissinger today, who was going to – the grand sage of American foreign policy – and he was making and he’s made it many times in recent weeks that the people who start revolutions are rarely the people who finish them. And we’ve seen a lot of revolutions hijacked. Think of Iran in 1979. Revolutions that start with some promise and then some other force moves in. And I think that’s the biggest challenge that President Obama faces now. When he goes out to the G-8 meeting in a few weeks, in France, you’re going to see a huge aid package to Egypt as an effort to try to guide that. If they lose Egypt, the rest is not in good shape. MS. IFILL: Okay, thank you both. On the domestic front, things are heating up slowly but surely in the 2012 presidential campaign. To wit, two more candidates are in the Republican ring: Texas Congressman Ron Paul and former House Speaker Newt Gingrich. Plus, Mitt Romney began a separate campaign, defending himself against critics who say his Massachusetts health care plan was the blueprint for President Obama’s. MITT ROMNEY: A lot of pundits around the nation are saying that I should just stand up and say this whole thing was a mistake, but there’s only one problem with that. It wouldn’t be honest. I, in fact, did what I believed was right for the people of my state. MS. IFILL: When you see Mitt Romney with the collar open and the gesturing and making the case that he was right on his health care plan, who is he pitching himself to? MR. BALZ: – they wrote about anybody on the conservative side. So he’s trying to convince people there. He’s also trying to convince the activists in the early states and elsewhere that this is not going to be so debilitating that he can’t win the nomination. MS. IFILL: So does Newt Gingrich see an opening there, a weakness? MR. BALZ: Well, they all see an opening. I mean, they all recognize that this is a weak field without a dominant frontrunner. We talk about Governor Romney as the nominal front runner, and yet everybody knows he has weaknesses. And so they all look at this field and say, why not me? You look at somebody like Newt Gingrich, who obviously has both strengths and weaknesses and a lot of people say, well, he can never get through the process. He has a sense of himself and of history and the party that says to him, I can still do this. MS. IFILL: So John, if you’re at the White House or you’re the political director in Chicago and you’re looking at this and you’re coming off a week of pretty good foreign policy news, are you chuckling to yourself, are you resting on your laurels saying the Republicans can’t get their acts together? MR. DICKERSON: Well, you’re happy that the Republicans can’t get their act together and in the case of Mitt Romney, the White House delights in applauding for Romney, a little knife in there. Some Democratic operatives were on Twitter and they were joking Romney because he had such a good explanation of the individual mandate, they should put him on cable for defense of the president’s plan. But what are they thinking about in Chicago and at the White House? They’re thinking about the economy. And every day in the White House, they get a list of the clips that have gone in the regional papers. They care a great deal about what we think in the national media of course. MR. DICKERSON: They care a great deal about the regional papers and they don’t just get the text. They get the front pages. And what they loved this Wednesday was in the Detroit Free Press the headline was “jobs near pre-crash levels.” In the Columbus Dispatch, the headline was about GM adding 4,000 jobs. Now, this is important because these are – the Midwest is a swing state area and jobs are necessary, but also they can make a turn here. They can say that the president’s plan with GM, which was to get in there – and a lot of people said, just let the car companies die – he went in and tried to revive them and they tried to make this case. And the White House put out a release that said, “how tough love averted catastrophe and led to 4,200 new American jobs,” about as subtle as an atom bomb. (Laughter.) But that’s what they need to do is say what the president did affected the economy, led to jobs, reelect him. If they can sell that, then they’ll be in good shape. MR. SANGER: You know, all of the candidates that you’ve been discussing are familiar faces to us. Romney tried and didn’t make it last time. Newt Gingrich evokes images of 1995. Ron Paul was joking himself that he – this is the third time around. Is the party going to come to some moment where it really has to make a old or new decision the way the Democrats did two and a half years ago, three years ago? And if so, what do the polls tell you is the way to go on that? MR. BALZ: Well, every party wants a new face in a situation like this. Now, the fact that Romney’s been around the track once I don’t think is a significant problem because many times you learn from that in ways that make you a stronger candidate the second time around. Newt Gingrich has a different problem because he comes with so much history and not all of it good. I mean, he’s – he’s been a force in the party for three decades, in part by just the force of intellect and ideas. He’s been the ideas machine of the Republican Party. But he carries a lot of baggage both in his personal life, but in his professional life as well and the way he’s conducted himself. MS. IFILL: But there are people who are new to most people, to most voters, people who are considering running, aren’t quite in it yet, like Jon Huntsman and Mitch Daniels who most Americans don’t know. MR. BALZ: And Tim Pawlenty, the former governor of Minnesota. I don’t think that at this point people are making a conscious choice of old or new, I think the real question the people are asking is who would be the strongest person to run against an incumbent president in what could be a very opportune year or might not be, we don’t know. That’s the question. And so the question is, will a fresher face do that more effectively? And I think that’s the calling card for somebody like Jon Huntsman, who really is not at all known around the country. He was governor of Utah and then ambassador to China for President Obama. But he is somebody who is beginning a very active consideration and is likely to run. Tim Pawlenty has remained in single digits, which is not surprising, but he is beginning to attract more attention. So there are people – and of course, there’s this great hue and cry, at least among some in the party, for Mitch Daniels, the governor of Indiana, to get into the race. MR. DICKERSON: What gives them hope, of course, is that President Obama’s numbers on the economy are still so low. We saw in the wake of the bin Laden killing that the president’s approval ratings went up across the board. Even Congress’ approval rating went up and Congress didn’t have anything to do with the bin Laden killing. So the general feeling – the general good feeling should have gone outside of areas specifically related to bin Laden. But in three polls the president’s numbers on the economy, how people felt he was doing on the economy were at record lows. Now, to prove just how weird polling is, there was one in which his approval rating on the economy went up. But the majority of the polls showed him going down. And the problem for the president is that he’s got – there’re two elements to his problem. One is the things people care about – gas prices going up – there’s not a lot he can do. CBS had a town hall this week in which one of the questions were said, what are you going to do about gas prices? And he gave a long answer and he talked about what caused it and all of that. And afterwards, the man said, well, he didn’t give me an answer I wanted. So the White House can’t address those immediate concerns. Meanwhile, while it’s not working on the things people want immediate short-term solutions on, it’s over here working on the deficit and the debt, which it takes a long time to explain to people how that affects them. They mostly hear about the pain they’re going to get. And when they hear about the pain, they don’t have a clear sense of how all of that pain is going to lead them someday to a better day. MS. YOUSSEF: John, given that, then, what are the options before the White House in terms of having a short-term impact on the economy? Are there realistic options? MR. DICKERSON: There aren’t a lot of options and it’s a problem. Usually when a White House or a candidate has a problem, they go and hold an event. Well, you can’t hold a gas prices event because all it does is highlight and hang a lamp on the fact that you can’t really do anything about it. What happens in this case is – at this town hall, which the White House gladly participated in, the president has to show that he cares. The great death of a presidency is if you don’t – if you aren’t – if you don’t show empathy with the voters and their concerns. The problem with this, though, is that there’s a bit of an empathy trap because voters start to want things from you you can’t deliver. And so the president was asked by a woman who had lost her job as a federal worker, what should I do? So suddenly the president is in the role as job counselor. And that’s not a role – he doesn’t have much he can offer in that case. And so it creates this – creates this tension. And he said – he was asked if her job would come back, and he said, well, I hope so. I asked the audience later if anybody thought the federal jobs were going to come back in this atmosphere of cutting. No one thought they would. MS. IFILL: So doesn’t that put the Republicans in a trap as well. People are expecting government to fix things, and yet they’re certainly running for spending issues and they’re running to say greater fiscal discipline. Isn’t that put them in a different kind of trap? MR. BALZ: Well, it can and I think the Democrats think that that – that they’re already caught in that trap over the proposals from Paul Ryan, the House Budget Committee chairman, on fundamentally changing Medicare. But, you know, this is a big philosophical argument that’s going on and we’re seeing it in different forms. We’re seeing it in the negotiations between the White House and Democrats in Congress and Republicans over, first, whether to shut the government down. They keep the government funded for the rest of the year, now raising the debt ceiling. And later, assuming they don’t get everything solved in that set of negotiations, what you do about entitlements. So all of that is out there. But I go back to a point that John made to double back on Romney and his problems on health care. And talking to a Romney advisor today, one of the things he said was, look, we think that this election, in the end, is still going to be about the economy, not about health care. And we are going to talk about economic issues. And Mitt Romney is best positioned in the party, we think, to be the person to make that argument against the president because of his private sector background. MR. SANGER: Dan, you mentioned the debt limit. We’re the only country, I think, that even has something like this, where you vote on a budget and then you vote on how much you can borrow. I don’t know of anybody who thinks that the debt limit won’t be raised sooner or later. The question is, at what price? And I’m wondering what you think the price is going to be. MR. DICKERSON: Well, that is what they’re figuring out. And what we have is what – we’ve seen this before, these moments where we have a huge crisis and both sides seem not like – they’re not going to budge on either. The inside game is that Joe Biden is sitting down with leaders in both parties and they’re doing the math. They’re saying, what can we agree to cut here? The cuts have to be determined so that Republicans can get the votes to raise the debt limit. And there’re plenty of Democrats, including the 23 Democratic senators who are up for election, who want a lot of spending reductions if this debt limit is going to be increased. So that’s the inside game and they’re just trying to get that math. Meanwhile, the outside game is that John Boehner gave a speech this week and said the spending cuts have to equal the amount of the debt limit increase. Well, they’re talking about a two-trillion-dollar debt limit increase. That’s a whole lot of cuts. They don’t have that many cuts. And trying to get those numbers to match up, that’s the huge problem. MS. IFILL: And the Republican candidates are happy to just watch this from the sidelines and let Washington sort it out for itself. Okay, well, we’ll be watching them sort it out as well. Thank you, everyone. We have to stop here for now, but I guarantee you the conversation will continue online on the “Washington Week” Webcast Extra, where we’ll talk about the John Ensign investigation and immigration politics among other things that happened this week. You can find us at pbs.org. Keep track of daily developments on air and online on the PBS “NewsHour.” And we’ll pick up again from there next week on “Washington Week.” Good night. 16 min 42 sec ago. 31 min 2 sec ago. 38 min 28 sec ago. 39 min 59 sec ago. 42 min 15 sec ago. 46 min 15 sec ago.